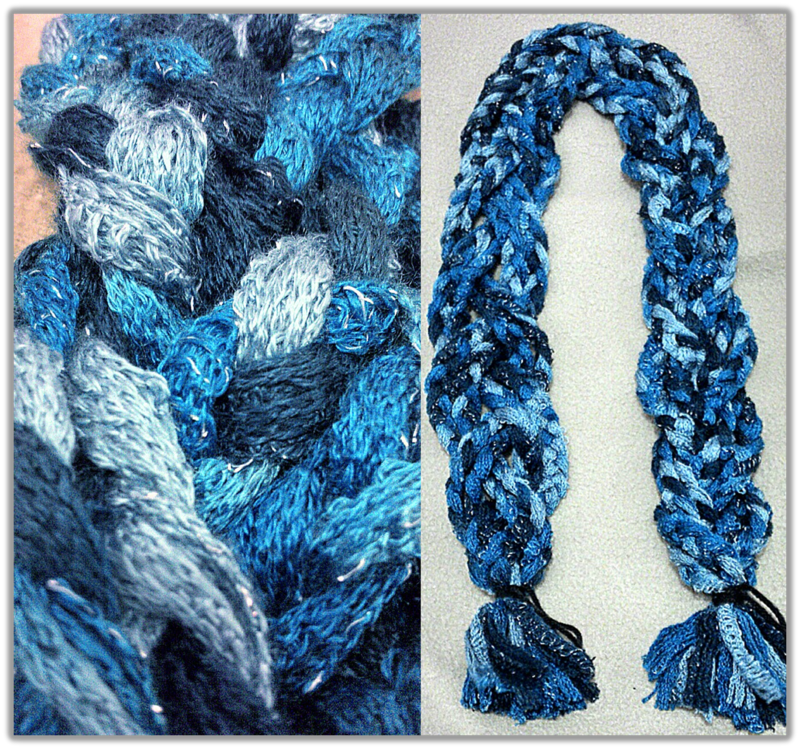 The engaging Midnight Blue and Aero blend make this braided scarf a fun accessory for your spring and summer outfit. It is made of 97% Acrylic knitted ribbon yarn. Measures 47 in Long and 2.5 in Wide. Hand wash gently in cold water (86 F/30 C), lay flat to dry. Do not bleach or iron. May be dry cleaned, solvent P.